In a remarkably honest and confident voice, Sarah Winman has written the story of a memorable young heroine, Elly, and her loss of innocence--a magical portrait of growing up and the pull and power of family ties. 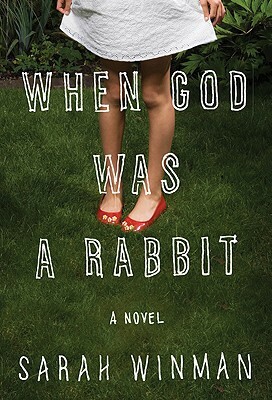 From Essex and Cornwall to the streets of New York, from 1968 to the events of 9/11, When God Was a Rabbit follows the evolving bond of love and secrets between Elly and her brother Joe, and her increasing concern for an unusual best friend, Jenny Penny, who has secrets of her own. 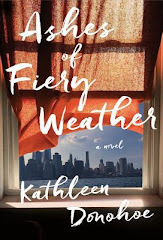 With its wit and humor, engaging characters whose eccentricities are adroitly and sometimes darkly drawn, and its themes of memory and identity, When God Was a Rabbit is a love letter to true friendship and fraternal love. I haven't read a good coming of age tale in a while. This one sounds like an attention grabber. Hmm...what's up with Penny. Sounds intriguing. Aww wow -- I love that this focuses on friendship and family, rather than romance for once. Great pick! Um definitely something I haven't read for awhile. I keep saying I wanna try something out of my norm and haven't done it yet and this sounds perfect. Thanks for bringing it to my attention. Not quite sure if this book is for me but I'll keep it in mind :) Thanks for sharing it with us. Have a wonderful day. This book covers a lot of ground and sound very complex. Wondering about the brother sister relationship. Interesting pick. I agree with Carissa, haven't read a good coming of age in years! Sounds like a good pick! I love coming of age books....I'm adding this one to my list. This sounds intriguing. Love the cover as well. This sounds like a good one especially the initial setting. The meaning of the tile eludes me,however. Love your pick today! The cover really caught my attention. I'd pick that one up for the title alone. I want to check this out just to figure out that title! Good thing the story sounds good, too! Very interesting choice, the cover reminds me of alice! My first time participating! So many books I'm waiting on. Your pick this week sounds really good! It's good to take a break from all the love stories and supernatural type books I've been reading lately. So this is, yet another, book I'll have to add to my list! Thanks! Interesting pic. Definitely out of my normal reading preferences. Thanks for spotlighting it! So many great books coming out this year! Can't wait to read them! Now I can delve into the other links posted here and add even more to my "must read" list! Sounds like an interesting book, I'll have to put this one on my list. I thought it might be fun to try the party out this week. Thanks for the idea and opportunity. Wow! Sounds like a really good book. I cant wait to read it! That book sounds interesting, it's my first time hearing about it so I'm definitely adding it to my TBR pile. Happy Wednesday! This is my first week participating. :) Your WOW novel is interesting; adding it to my TBR list! This is our very first WoW! When God Was a Rabbit (great title) sounds like a tear-jerker! Sounds like it could be a interesting book. This sounds good! I'll have to add it to my pile. This sounds like a good book! The title is amusing. Sounds interesting! Thanks for hosting this. Oh I like coming of ages that span several years. What an unusual title.